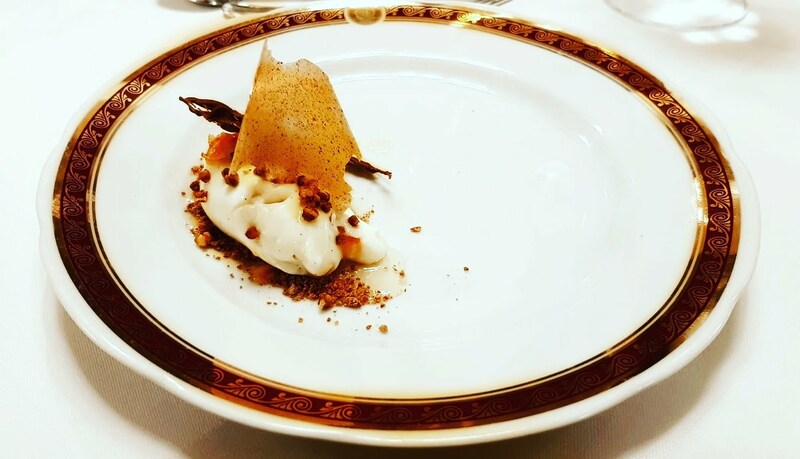 I had the pleasure of attending Fine Dining Week in Krakow, a couple of weeks ago and thought I would share with you my experience. It is after all not an everyday affair for me at least, to go to a 5-star restaurant, but when the opportunity arose, I went for it. After the success of Restaurant Week, Fine Dining Week was introduced. 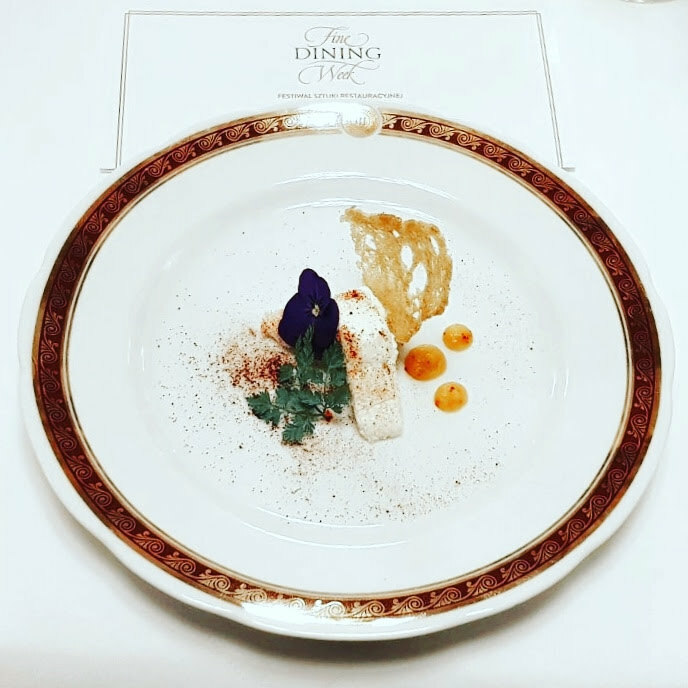 As the name suggests, ‘Fine Dining’ is all about the experience, it is usually in a formal setting, with a white crisp tablecloth, food and services of top quality. 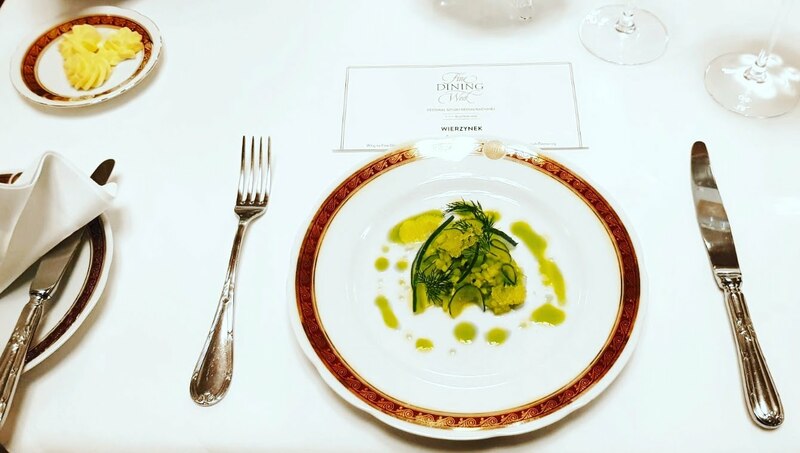 Considering that most people do not do Fine Dining on a day to day basis, this event gives guests the opportunity to try out the cuisine of some very exclusive restaurants like those Michelin Starred ones, for a fraction of the cost. When I first heard of this event late last year, I got excited about the opportunity to eat Dine at one of the restaurants on offer. 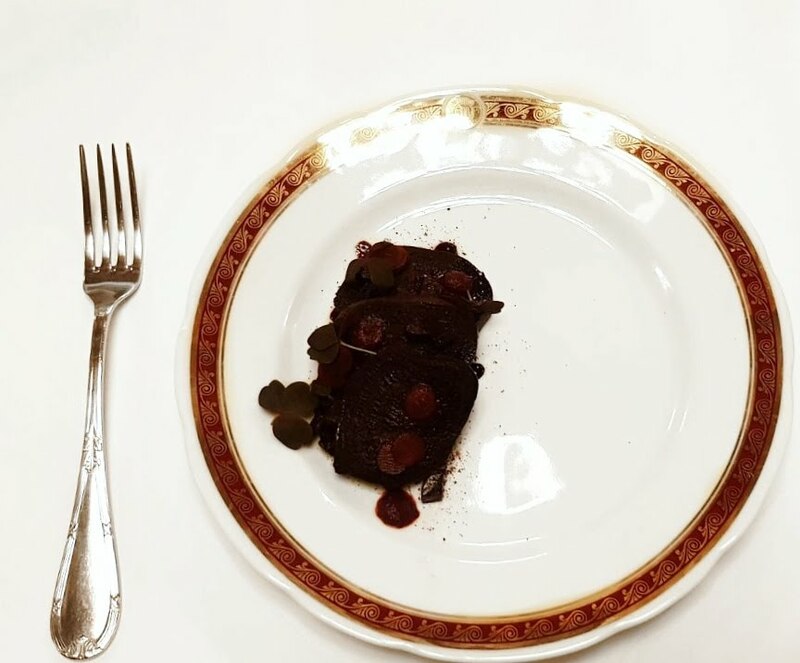 The event took place from 7 -18 February 2018, and some of the top Fine Dining Restaurants from all over the country participated in this event. Reservations must be made online and paid in advance. You must be prepared to enjoy this experience, so only carefully selected restaurants are chosen to participate. Act supernormal as if you are entering a McDonald’s, nothing too fancy! 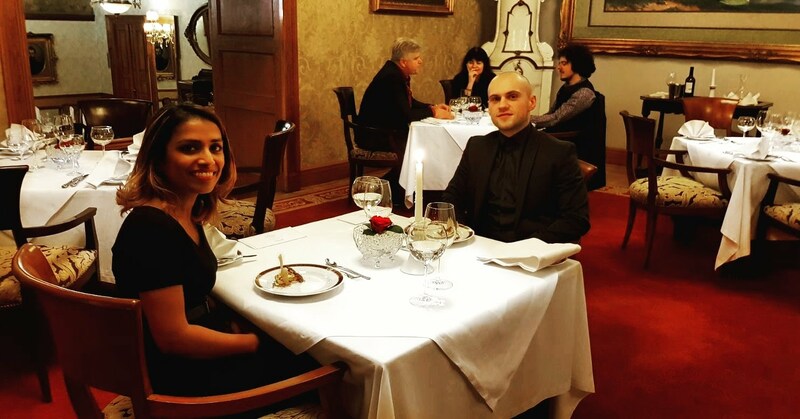 As a guest at one of Poland’s top restaurant, it is only polite that each guest is offered a specific time to enjoy a hearty 5-course meal. Since the participating restaurants have to cater to many guests, each restaurant offers a 120-minute dining experience that ensures your taste buds will be tingling with excitement throughout. 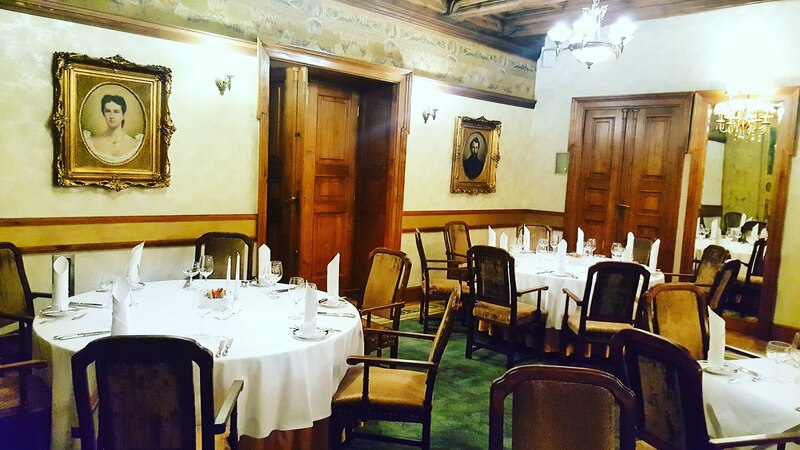 I managed to make a last minute reservation at one of Krakow’s oldest restaurant – Wierzynek. 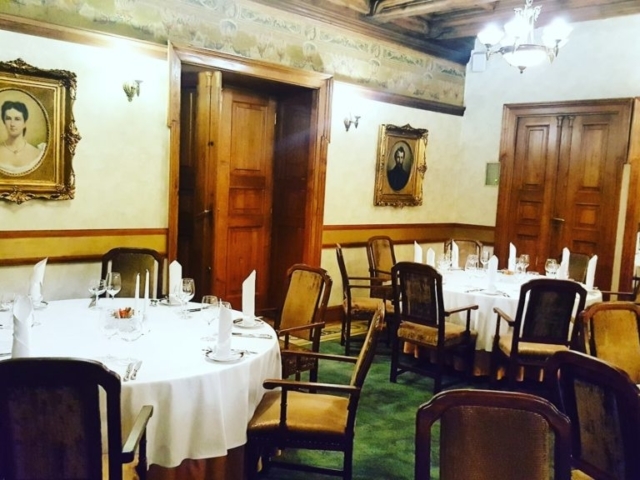 Located in the main square on Grodzka street, it occupies four floors and has eight separate dining rooms including the Italian Pompeii Room, the Tatra Room, The Clock Room, the Knights Room and wait for it…..The Chamber of Imagination, to name a few. 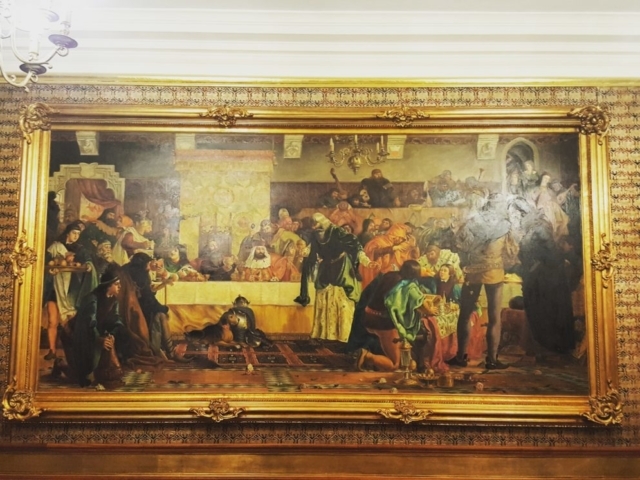 As per the restaurant’s website, legend has it that, over 650 years ago in 1364, a wealthy merchant named Mikołaj Wierzynek hosted a splendid feast for the monarchs of Europe on behalf of the Polish King Casimir the Great. 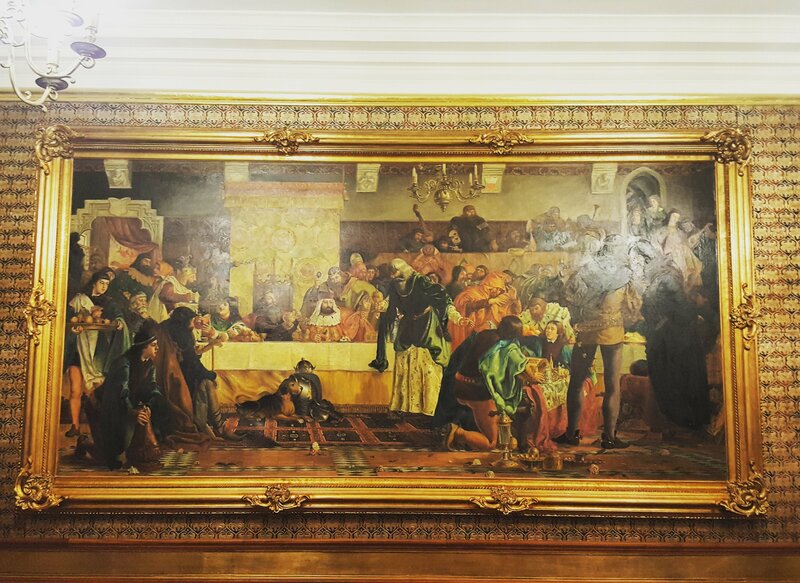 Wierzynek undertook the task of hosting the feast with great care and overwhelmed his noble guests with a truly lavish welcome. According to legend, the tables were groaning with food and drinks and the guests celebrated for 20 days and nights. Upon departure, the generous merchant presented each guest with a splendid gift – gold and silver tableware. 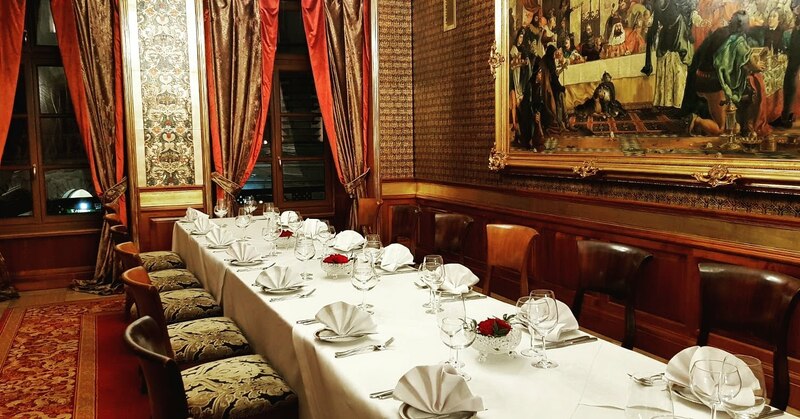 At the Wierzynek Restaurant, today the legacy continues of this great medieval tradition of feasting until the present day, by giving a royal welcome to each and every one of their guests. 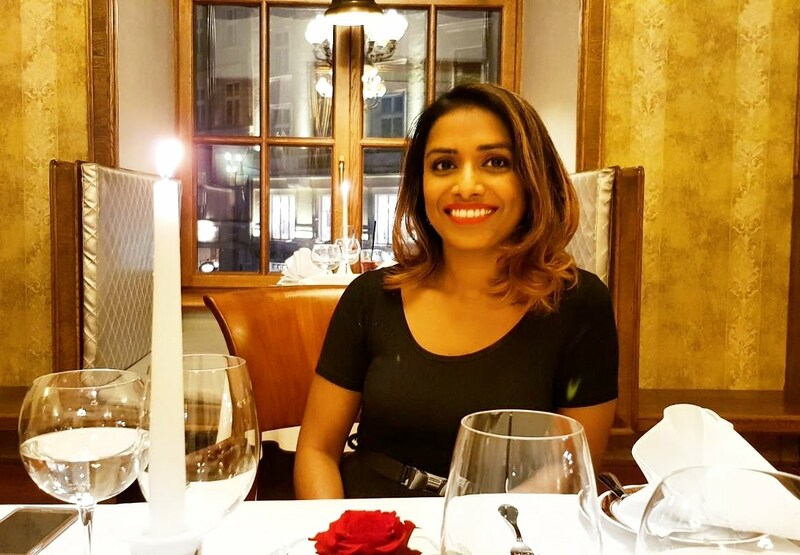 Many world leaders and celebrities have visited the restaurant including Charles de Gaulle, Fidel Castro, Sophie Marceau, Wentworth Miller and India’s very own Shobha De, an Indian columnist, and novelist. Wierzynek’s cuisine approaches the essence of Slow Food. Guests are offered a unique combination of the royal art of feasting and the highest quality of organic products from local suppliers. 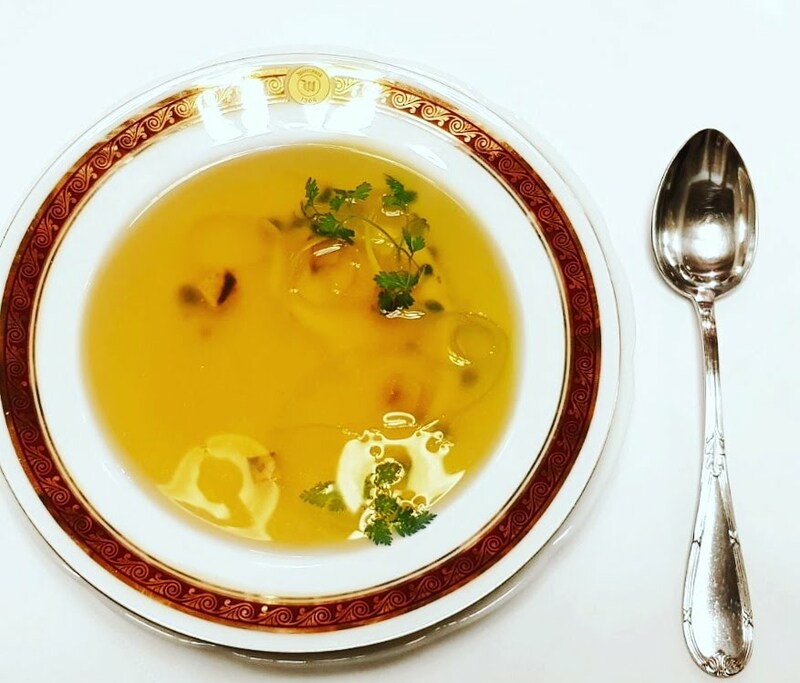 Every day the restaurant serves its guests, chefs fill tables with savoury meats, fresh fish, traditional groats, pates, dumplings and wild mushroom compositions. 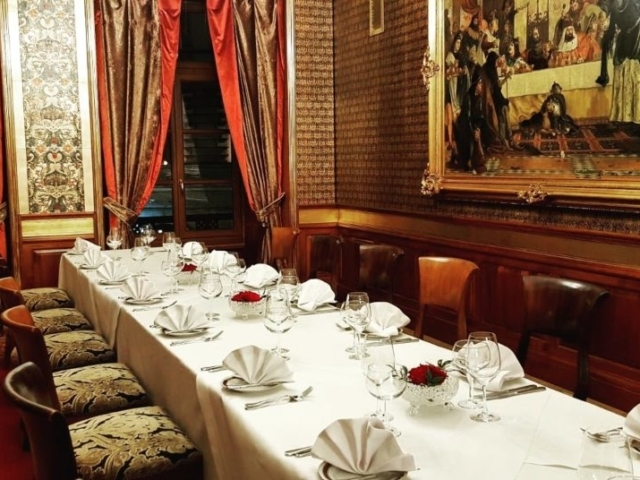 Wierzynek Restaurant is the best choice if you would like to try dishes prepared according to old Polish royal court and indulge in the experience of historic flavours. To complement the feast, a special collection of alcohols are offered by Wierzynek Champagne Bar. Guests can also try out the spectacular desserts. Luxury pralines and truffles, chocolate figurines and colourful macarons – all handmade with master artisanal techniques by in-house chocolatiers. 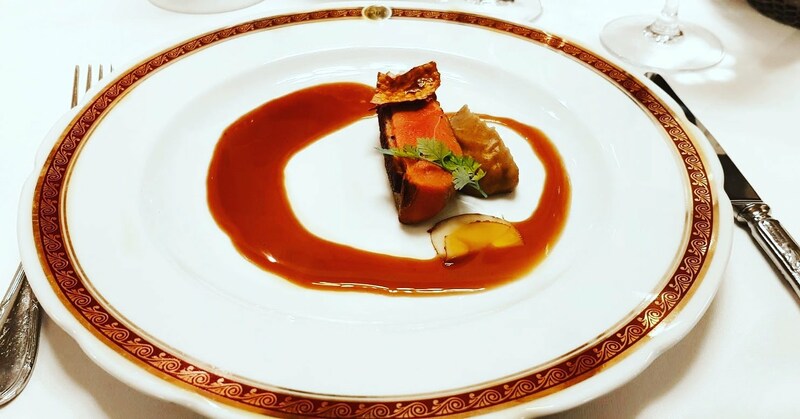 As this restaurant has had such a grand and Royal history, it is no wonder that the tradition of royal feasting continues. The restaurant claims that it treats each of its guest like a King, so I was looking forward to some super fine and warm welcome. Since we had to pre-order our menus while making the online reservations, we already knew in advance what we were about to receive, but had no clue what the finished product would look like. My boyfriend took the non-vegetarian menu and me the vegetarian/vegan one. During the season of Lent, I have decided to go vegan this Holy Season, hence the vegetarian option for me. Below you can see the picture from both of our selected menu’s. Needless to say, it was beyond our expectations. We both really enjoyed our meals and it goes to show good food doesn’t have to be restricted only for special occasions. As we entered the building we were escorted upstairs to our tables and our coats taken away to the cloakroom. Since the menus were already pre-selected it was just a matter of bringing out the dishes one by one. For me, it’s the best way to dine. I hope many other restaurants do this, where you just call in and order and then just arrive and eat your heart out. Wouldn’t that be nice! 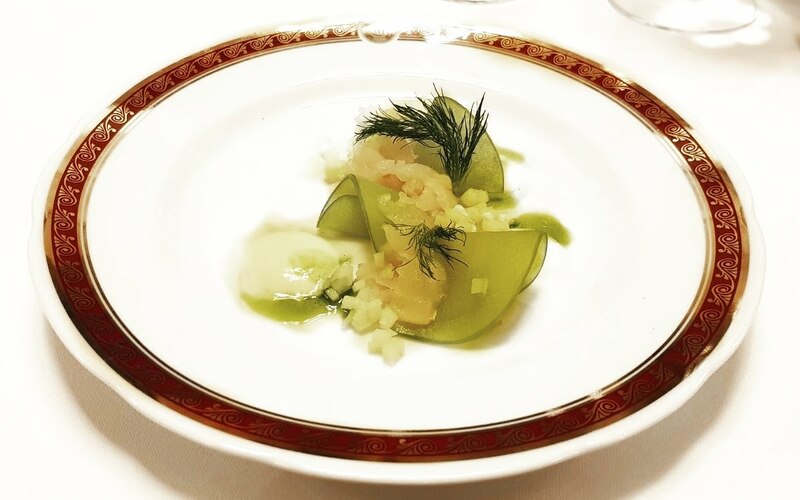 I personally loved the originality of some of the dishes served at Wierzynek, like the Cucumber Tartar a Vegan twist on the traditional Beef Tartar, the soup was delicious, the Beetroot dishes too were very good and original. The best part was the desert, I never thought one could have roasted Kasza(Groats) with Vanilla Moose, it was simply divine. This was the first time I had been to Wierzynek. The interiors are grand and beautiful. The murals on the walls and the tapestry are really very old as is evident from how old it is. The place is really charming and has the vibes of a bygone era. I am surprised it survived the WWII and it still has its old world charm. 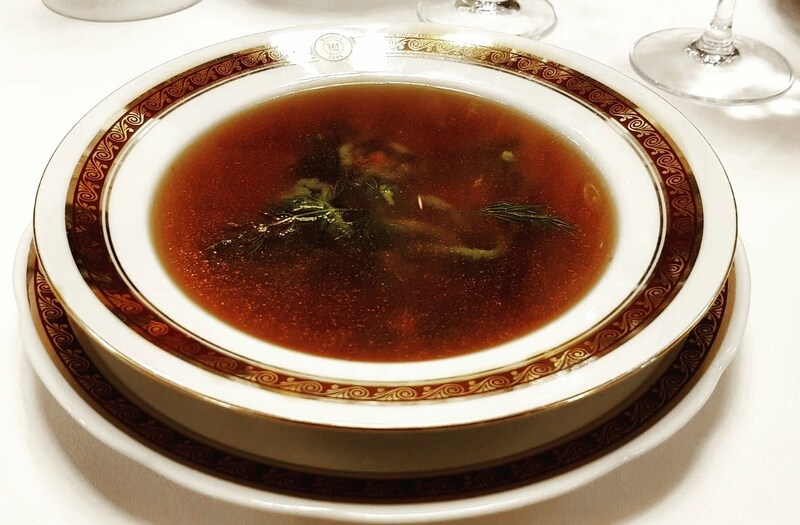 Mind you, going there on dates other than Fine Dining Week could set you back a couple of hundred zlotys easy, but I guess it is worth the experience. If you are ever in Krakow, do make it a point to at least stop by for an afternoon tea and some deserts as they really had a good selection. Coming up in Spring, there will be restaurant week again. Here are the exact dates as per the official website 18 – 29.04.2018. The last time I was at this event I shared my experience here. This time surely I will try to go to many more restaurants and sample out the dishes. Thank you for stopping by and let me know if you have such events in your part of the world. Wierzynek really does sound amazing, nothing like I have ever seen. The food looks delectable and so fancy. I’m impressed with the building and many dinning rooms. The history of it all would be the highlight of my visit. Your dessert sounds awesome except I don’t know what grouts are, I do assume they are delicious by the way you spoke. Love this page ! And I love Poland too, really takes me back !! 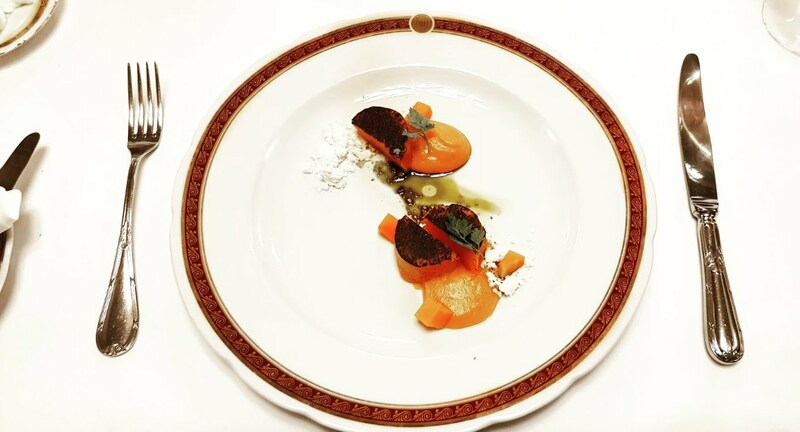 What an experience you must have had at Fine Dining Week in Krakow. You must have really felt like a princess in that formal setting that obtained. Dining in a setting that offered top quality food at restaurants that were carefully selected for the event must have been something wonderful. Dress code that required diners to be smart and elegantly dressed topped it all for me. Oh my! the event looks great and the place wonderful! It’s perfect spot for a date it seams! That’s a really nice place and a really nice experience. I can’t wait to see more. I’ll have to go to the place if I ever get a chance to go to Poland. I’m sure this was so delicious! my brother is a chef so I’m always game for fine dining! What an interesting sounding event! Sounds absolutely delicious as well! This sounds like such a fab experience! You gave a great detailed review; it’s making me very hungry right now haha. Your pictures are fab too. This sounds amazing! It would be awesome to have something like this here in the US, but so far I haven’t heard of anything similar. Definitely a great way to promote local restaurants AND allow guests to have an amazing dining experience! I love this! Ooh! You look so fancy! I bet it was an evening you won’t soon forget. It sounds as though you had a lovely time, the place looks so grand and posh and laced with so much history too. I have never been to Krakow and hadn’t really given it much thought. I would like to do go visit someday. 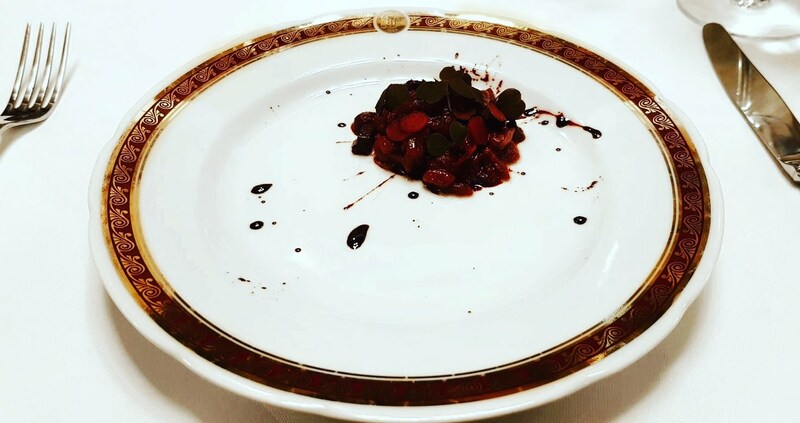 I love that you were given 120 minutes to explore fine dining and for a cheaper price. Do you mind me asking how much your fine dining experience was? I love the interiors of the restaurant and as a vegetarian myself I would definitely say that I was pleased by the vegetarian and vegan menu options. I only wish that the portions were larger aha! This sounds like a really great event! I’d love to attend something like this someday! The place looks amazing. 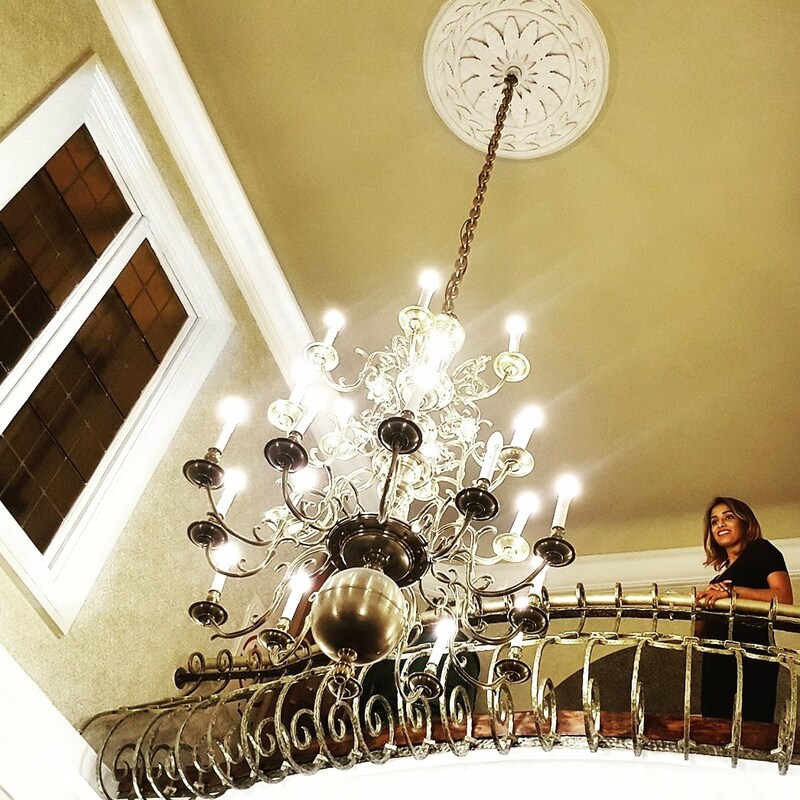 The interior decor has a really nice ambiance. LOL I would have a hard time pretending that I’m entering a McDonald. Wow, Doreen. I think I’l let you know when the Kampala Restaurant Week is on….I so much would love it, if you try our version of the “rolex” here in Uganda. Does this sound like a good plan? I’m sure you had a great time. Nothing could beat a day with an awesome person, in a nice place, sharing great food!